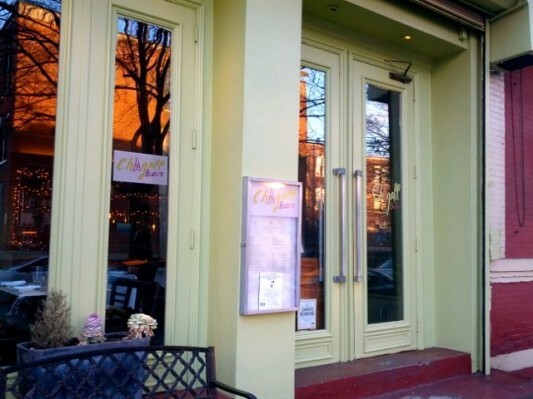 This week, a new kosher French restaurant has opened in the Park Slope section of Brooklyn, Chagall Bistro. In an interview with the owner, Dan Halimi, discussed with YeahThatsKosher about his new restaurant. We purchased this restaurant a year ago, fixing it up, and making it a more upscale eatery. Being Jewish and from France, I wanted to open a restaurant with French fare that was kosher. 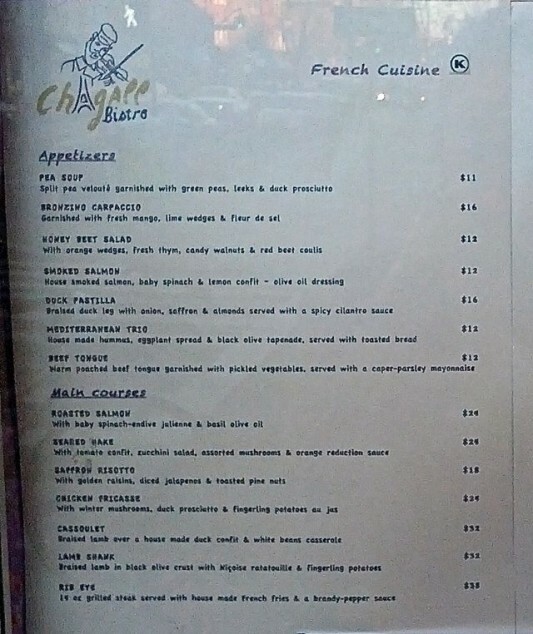 I named the restaurant after the French Jewish painter Chagall, whom my mother, also a painter, loved. We have many (replica) Chagall paintings in the restaurant. I invite all to come and enjoy the atmosphere and the food. Chagall Bistro is Kosher certified by the OK. The menu was created by executive chef Jean-Claude Teulade, a veteran of the famed French restaurant La Côte Basque, and reveals a reasonably priced range of entrees from a saffron risotto with diced jalapeños ($18), to a chicken fricasse with mushrooms, duck prosciutto, and fingerling potatoes au jus ($24), to a 14-oz rib eye steak with house-made French fries and a brandy-pepper sauce ($38). The appetizers (e.g., bronzino carpaccio, duck pastilla) and desserts (e.g., orange souffle, creme brulee) are equally enticing. 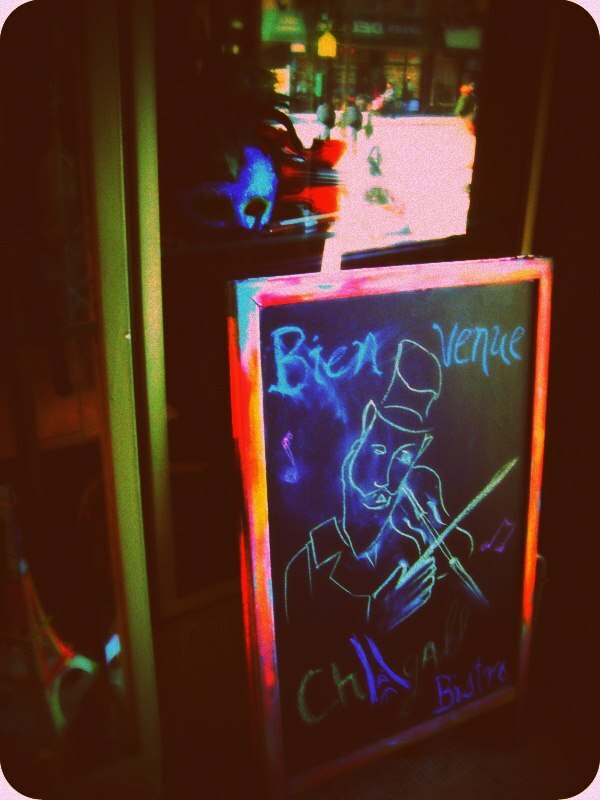 Chagall Bistro will be open for dinner Sunday through Thursday only starting at 5 pm, with brunch available on Sundays from 10:30 am to 3:30 pm.